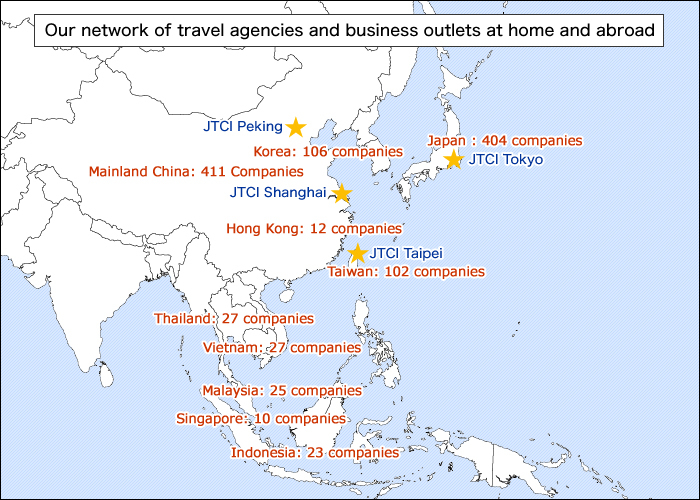 We (JTCI Tokyo, Peking, Shanghai, Taipei) support your promotion which targets foreign visitors with our strong network of over 700 travel agencies in 9 Asian countries. 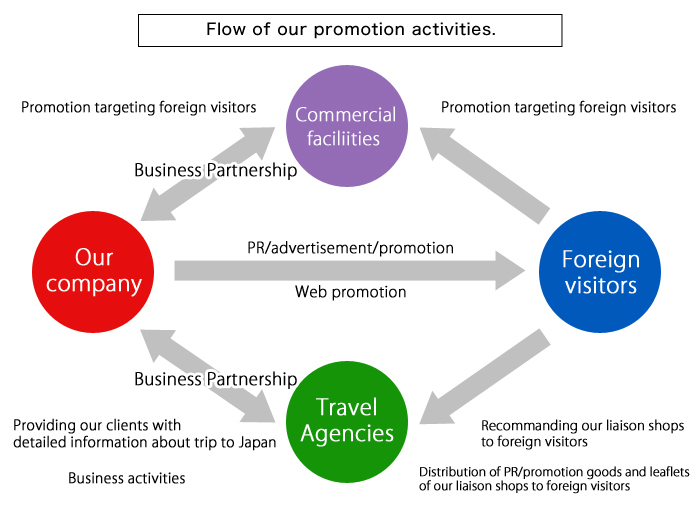 Our direct approach towards travel agencies (outbound to Japan) will be the true answer for your real needs regarding promotion which target foreign visitors. *PR, promotion, and releasing information abroad. 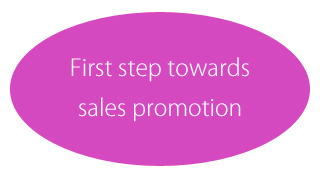 *We act as overseas sales and business representative. 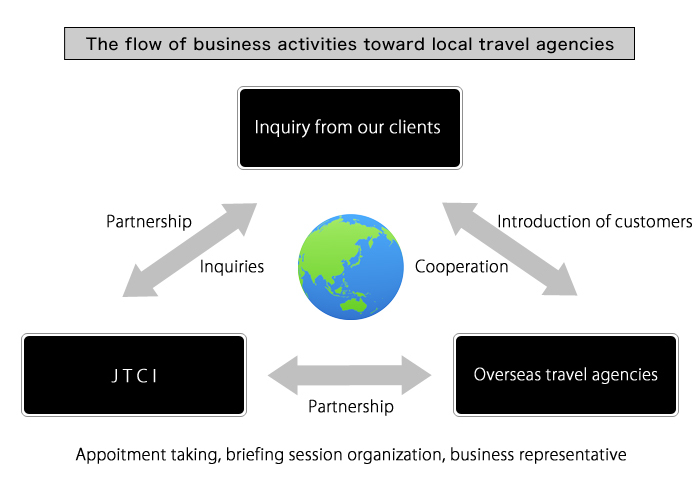 *We assist you during your business trip abroad. 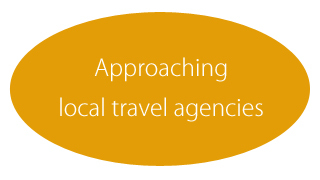 *We act as a mediator for your business in relation to local travel agencies. *We help you to make appointment, interpretation, and escorting you along the trip. *We do surveying and questionnaires through travel agencies. 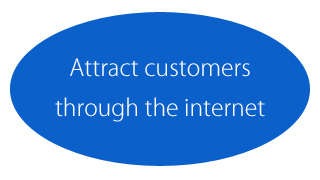 We respond and answer to your needs. for any question.